Marcus, a good friend and an awesome roleplayer, recently taught me about a different kind of reward for roleplaying while we were planning a co-GM session. He explained to me that it’s rewarding for players to have the spotlight at the game table where everyone’s attention is focused on them for a minute or two at a time, while they have their character perform heroic deeds, or amazing feats, or just plain old parleying with a wily NPC. And he’s right. From personal experience as a player, it *is* rewarding being the center of attention and basking in the glory (of a successful action) or suffering the good- natured jibes from the other players (after a botched action). So, he inspired me to write an article about types of rewards other than experience points, skill points, and loot. I hope you enjoy these tips. If you do find them useful, I’ll follow-up by publishing the rest of the “Good Roleplaying Rewards” tips I was planning. I would also be interested in hearing how you reward players during play, aside from the “tangibles” like experience points, skill points and treasure. Send your reward tips to: [email protected]. Thanks! These tips are all about helping your players develop interesting and unique characters during play. A player who really enjoys playing their character is almost always enthusiastic during play and has more fun at the game table. And feeling interested and enthusiastic, plus having fun, is pretty much the best reward of all for roleplaying. The key to helping your players develop compelling characters is to simply put some effort into it. Aside from all the plotting, planning and map drawing you may do between sessions, also try to spend a few minutes thinking about each player’s character. This is something I always think about and rarely do, sadly enough. It seems that something always comes up and I never actually end up dedicating time on this task before a game session. Usually, I’ll just think and act upon an idea during play, with little forethought. I suspect many GMs do this too. So, go the extra mile and actually spend the time, even if it’s just a half an hour once a month. You will often find that if you invest time in the players’ character development, they will eventually respond and take the lead in their own character development. Which, I think, is a great situation to be in with your campaign. A warning: some players will always let you do all the in- game development for their characters. These kind of players like to focus on the game play, or puzzles, or what have you, and prefer to just be presented with character developments as they occur. Understand that this is just their playing style and don’t take offense with them “expecting you to do all the work”. You are free to spend your time on other GMing activities if you don’t have the time–and you won’t hurt that player’s feelings. Most game rules do not cover character growth beyond experience points, skill levels, standard equipment purchases, etc. You’ll have to think outside of the game rules, and then teach your players to do the same. The tip about scars below is a prime example. 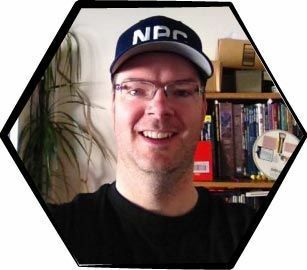 To prevent player frustration though, make it clear from the beginning that you, as game master, have final approval on all character developments that go beyond rule boundaries. That way the players won’t feel like you’re getting personal or being arbitrary if you start disallowing or modifying player-driven character changes mid-game: they expect you’ll have a say in things right from the start. Based on my confession of not spending dedicated time on character development in Tip #1, I’ve decided to take action. What I have done is write each character’s name at the top of an index card. I focused on one character at a time and wrote all the character development ideas I could think of on their card. I spent about 3-5 minutes per character and managed to come up with about 10 ideas on each card. I figure I can really only use one good idea per character per session, based upon my GMing and campaign style. So, I chose the best idea I had for each PC and, on the flip side of each card, wrote it out. I also wrote down some brief points about how I would introduce the development during play for quick reference during the game. I found that, while brainstorming ideas for one character, I could re-use those ideas for some of the other characters too. Also, additional ideas for all the characters kept popping into my head as I was brainstorming for a single character. Each time I had an idea, I’d add it to the ideas list on the character’s cards in case I forgot what it was later on. It’s great because these ideas are 100% personalized and customized for your players and their characters. Who wouldn’t like that? And with so many ideas floating around, the encounters I’m working on are sometimes writing themselves now. If you’ve read some of the past issues of Roleplaying Tips Weekly, you know I’m a big index card fan. But, feel free to use regular sheets of paper, envelopes, or whatever for this technique. My next challenge is to sort through all of the character ideas looking for some common themes. Wouldn’t it be wonderful if I could spot a few opportunities to help all the characters develop, in similar or different ways, in the same encounter? Not only would that be efficient, but it would guarantee that no-one gets missed and everyone has fun. I’ll see how that goes in the future. An excellent way of developing characters in new ways while maintaining game balance is to give them access to rare or specialized skills. I’d recommend that the skills should be relatively minor and not very costly to learn so that the players are motivated to pick them up. For example, climbing is a pretty standard skill. And when a player gives his character the climb skill, I bet he’s not jumping up and down with excitement. However, imagine that, spread throughout the current campaign area, is a species of tall tree whose fruits have some medicinal value. The fruits only grow on the top two branches and the tree has evolved a superglue-like tree sap as a defense against hungry ground creatures. A local ranger or woodsman in the area has developed a special technique for climbing the trees without getting stuck. Through roleplaying with the woodsman, a player negotiates training for his character to be able to climb these trees. Technically, the character just has a slightly modified version of the boring old climb skill–but the player won’t treat it that way! The player will be very excited about that skill and feeling their character is somewhat special. And every time a party member has their wounds treated with a fruit that has been gathered by that character, the player will feel a little shot of pride. Tom Bisbee suggested in Issue #28 about scarring villains. Feel free to scar the PCs too, to represent and remind players of their character’s exciting past experiences. And remember that there are mental scars, as well as the physical ones, that you or a player can give a character. If you scar a PC though, try to get a feel for the player’s reaction. Some players want to enjoy 100% control over their characters and may resent your tampering–especially if you are working outside of your game rules. See Tip #1 about clearly communicating your refereeing style ahead of time to prevent upset players. I think the best situation is when a player wants to develop his character in new and different directions and decides to look for ways to do this during play. But many players don’t know how to do this, or they may feel uncomfortable doing it because the other players aren’t doing it, or because they may be worried about offending you. A great way around this problem is to ask the players probing questions that lead to character development kinds of answers. Not only will your questions draw great ideas out from your players and spark off the whole process, but they also represent your implicit approval on the issue, which some players may need before letting loose. How do you feel… How do you feel now, after standing before a crowd of strangers and swaying them away from the evil Sheriff’s plan? What have you learned… What have you learned now that the right man is behind bars? What do you think… What do you think about that crazy woodsman’s ability to climb those sticky trees? First of all, thanks for the excellent web site and emails. I just discovered your page through a banner ad that showed up on my page, www.weregamers.com. Check it out. It has lots of cool character portraits and a monster or two, with more to come. My GMing tip takes a page from the video game industry. I’ve found that “cut scenes” or mini-movies are a great way to heighten suspense and add depth to a story line. Sometimes I just use one in an adventure while other times there’s one at the beginning and in between chapters. The idea is simple: describe a scene to the players which has importance to the campaign or current adventure, but does not include their characters. Leave out names or details which will give too much away. This is a good tool for providing direction to a confused party. On the other hand, a more organized party must do a bit of role-playing, as they cannot use information gained from the cut scene to alter their characters actions. The best one I have used involved negotiations between 3 kingdoms of Humans, Orcs and Dwarves. The humans were hosting negotiations to avoid a war between the Orcs and Dwarves which the humans really wanted to avoid. The party was a mixed group attending the treaty talks. When the Dwarven ambassador is poisoned suspicion falls on the orcs of course, and the party sets about solving the crime. Meanwhile, here’s the cut scene: The Orcish camp outside the city is buzzing with the snores of sleeping orcs. No one stirs as a slight earthquake washes across the camp. As it intensifies, a few shouts of warning are heard. With an explosion of rock and dirt the ground beneath the Orcish ambassador’s tent is swept aside by a 20 ft tall earth elemental who proceeds to pound the ambassador and his guards to pulp and then melt away into the earth. The dwarves have taken justice into their own hands. Obviously the GM should go into a bit more detail when it is appropriate. I have also had fun with very vague cut scenes where two shadowy figures meet on a darkened rooftop and discuss matters of arcane or illicit nature without mentioning names or places. This can tease the players and hook them into the storyline like you wouldn’t believe. One of my best tools was my folding GM screen. I make a point of saying “folding” because it was made from 1/4″ thick Plexiglas and the “walls” had metal posts in the bottom so it mounted in the base (also made of Plexiglas). I clipped my charts and tables to the inside of the wall and then used the base to make quick notes on what was going on. For the encounters I would make a quick chart of the monsters (each with their own ID #), their level, total hit points, damage taken, and initiative. This saved me from messing up or misplacing the sheet once the encounter got under way AND since I was writing in grease pencil it was easy to change and erase after the encounter. Keeping with the Plexiglas theme, I went out and bought a 3 foot by 4 foot sheet with 1″ square grid in it and mounted it under a sheet of that magical clear material. Using water based colored markers (yes, the ones that smell like fruit), I could draw anything I wanted on the Plexiglas. To indicate height I would write the objects height inside it, thus a green spot with a “3” in it was a bush but one with a “12” in it was a small tree. I take a much different approach – the first session of any new campaign is just that – making characters, figuring out how they knew each other, defining locations, contacts, goals, and doing any “before the campaign” roleplaying that’s needed. It also gives the GM some prep time before the first actual gaming session to work out any resources that he may not have realized he needed, and reading up on any relevant rules. I find that this greatly reduces the “My character hates your character!” syndrome and leads to much smoother campaigns.